First BelgianGamesCafe was a big success! 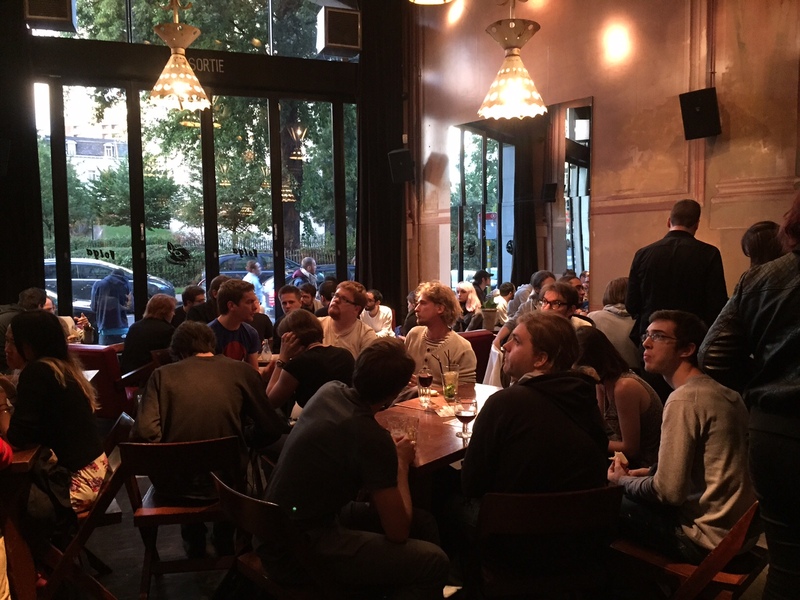 Following the huge success of the Belgian Pavilion at GamesCom, the 3 Belgian regions united again on September 16 for the first BelgianGamesCafe, a relaxing games meetup at the amazing Potemkine bar in our beautiful capital city of Brussels. 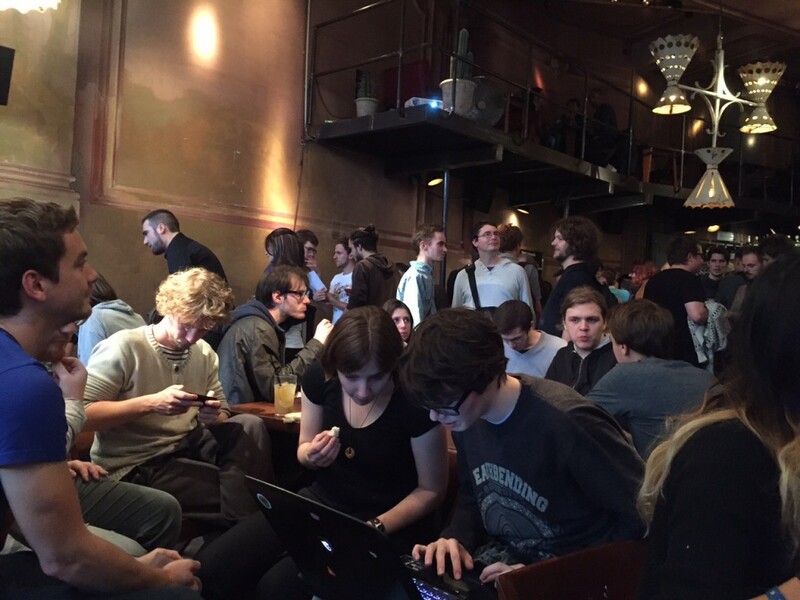 Well over a hundred Belgian game developers, students, government officials and journalists got together to exchange ideas and showcase their games while enjoying complimentary snacks and drinks. Some of the games shown on a big projection screen were Epistory by Fishing Cactus (Steam Early Access scheduled for September 30!! ), Mayan Death Robots by Sileni Studios, Bomb Slinger by Mode4Games and many others. 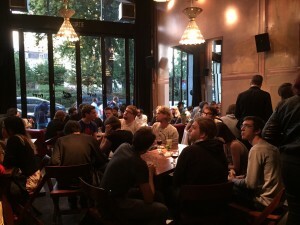 BelgianGamesCafe was organised in association with BROTARU (a monthly meetup of game developers in Brussels), screen.brussels (a cluster based in Brussels, focused on audiovisual and related technologies) and WALGA (our dear colleagues from Wallonia). The meetup was a great success and all parties involved are convinced this is the beginning of an even more intense partnership between the 3 regions! Keep an eye on our EVENTS page for future iterations.